A reasoned discussion of what the Bible says happens when a person is baptized with the Holy Spirit. Vital understanding for anyone who is seeking God! Right click here to download the pdf version of "Speaking in Tongues at Spirit Baptism". Other subjects from the topical index related to the Sacrifice of Christ. The Spirit speaking in tongues through a person when he is baptized with the Spirit is God�s personal witness that He has justified and cleansed the person through whom the Spirit is speaking. And waiting for the Spirit of the Lord to declare a man to be born again appears to be our only means of escape from the confusion and uncertainty which results from relying on human testimonies. No man�s confession of faith can settle that issue, for man�s testimony is only one witness. Jesus even said of himself, "If I bear witness of myself, my witness is not true. There is another who bears witness of me, and I know that the witness that He bears of me is true" (Jn. 5:31-32). If Jesus insisted that even his testimony was worthless if it was the only one he had, then surely we should humble ourselves to confess the same about ours. 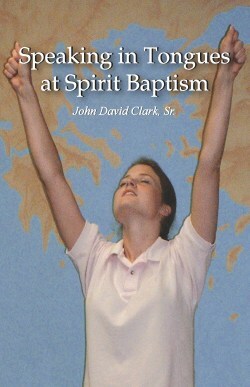 Seeking the holy spirit baptism. Click to play. This is critical information concerning who is really a child of God and who is not. We know that we can trust what Jesus said on this and every other subject, but this revelation he gave to Nicodemus is vital; it is exactly the kind of information that can unite us in a common knowledge of the truth. In this verse, Jesus revealed three fundamental truths concerning conversion, or being �born again�. Let us carefully consider each of them. Second, from the middle of the verse, we learn that the Spirit moves independent of men's minds. Men do not know where the Spirit has been or where it will go next. This reinforces our earlier discussion of man�s ignorance of divine life (cp. Isa. 55:8-9). Man cannot know who around the globe was last visited by the Spirit or who the Spirit will visit next. 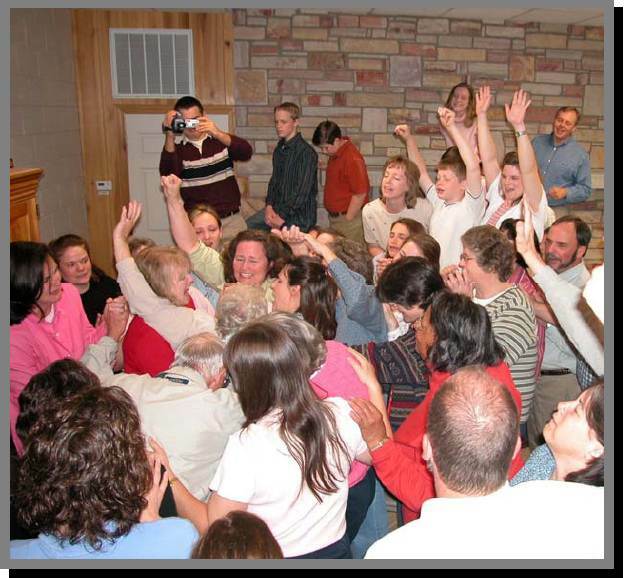 Receiving the holy spirit baptism. Click to play. In the kingdom of God, to quote Jesus, �the seed is the word of God� (Lk. 8:11). Peter said that in this covenant, God�s people are no longer those who are �born of corruptible seed, but of incorruptible, by the word of God [the seed] that lives and abides forever� (1Pet. 1:23). Paul agreed with this concept, boldly teaching the saints in Rome that now, in God�s sight, �He is not a Jew who is one outwardly; neither is that circumcision which is outward in the flesh. But he is a Jew who is one inwardly, and circumcision is that of the heart, in the spirit� (Rom. 2:28-29). I believe that under this New Covenant, as under the Old Covenant, the part of the body through which the seed of God comes, the tongue (the indicator of the heart�s condition), must be circumcised and that when it is circumcised, it speaks a new language that it could never speak while man had control of it. The tongue of man and the heart of man have a unique relationship. Jesus said, �Out of the abundance of the heart, the mouth speaks� (Mt. 12:34), which suggests that when the Spirit of God changes and fills the heart of a man, his mouth is moved to express something. In this �better covenant�, circumcision is still required, and both men and women can receive it now because in God�s kingdom, circumcision is a matter of the heart, not of the foreskin. In Christ, God circumcises from the human heart its old, corrupt nature and replaces that sinful nature with His own holy one (2Pet. 1:4). Since the time God made His covenant with Abraham, it has been unwise to refuse God�s offer of circumcision, for it was, and it still is, the gateway to the blessings and eternal promises of God. It confirmed, and it still confirms, one�s relationship with the father of all the faithful � back then, Abraham, but now, Christ. Paul asked this rhetorical question: "How shall they call on Him in whom they have not believed?" (Rom. 10:14). The obvious answer is, they cannot. Clearly, then, one must be a believer in order to be able to do what the Bible refers to as �calling on� God�s name. When David was moved by the Spirit to pray, "Give us life, and we will call upon your name" (Ps. 80:18), he was confessing that without new life from God, he could not call on His name. David was moved by the Spirit of God to say those words (2Sam. 23:1-2), and being moved by the Spirit to speak of things to come, David did not understand what he was saying, as often happened with God�s prophets (1Pet. 1:10-12). In this case, David was pleading for God to pour out His life-giving Spirit, which prayer was answered, because of Jesus, a thousand years later on the day of Pentecost in Acts 2. How David would have loved to be there, to have God to wash away his sins and open his lips, so that David might praise God in the �new and living way� of this new covenant! �The Spirit is life�, wrote Paul (Rom. 8:10); therefore, when David prayed for life, he was praying for the Spirit, whether he knew it or not. Jesus told his disciples that the Spirit is what makes men truly alive (Jn. 6:63), and he invited all who thirsted for eternal life to come to him for it (Jn. 7:37-38). 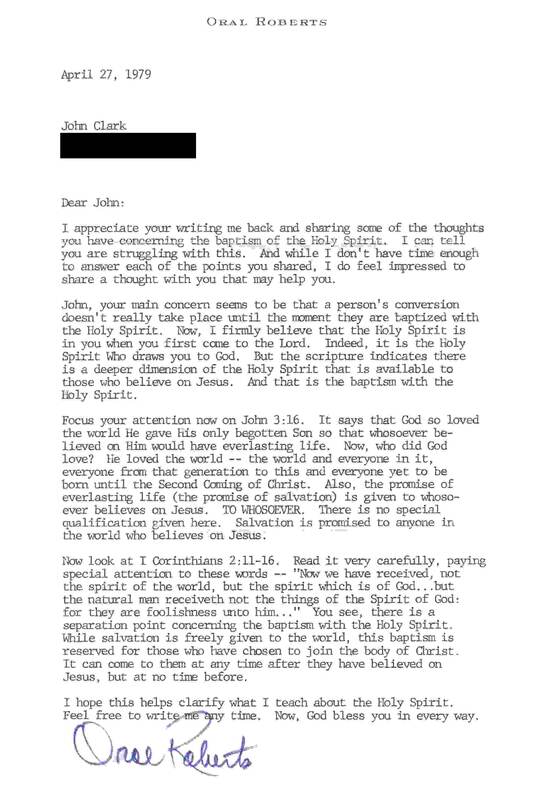 John went on to explain that Jesus was inviting men to come to him to receive the holy Spirit (Jn. 7:39). When Jesus (Jn. 10:10) said, �I am come that they might have life,� he was referring to his life�s mission, which was to make the holy Spirit of God available to fallen man. The whole reason for Jesus� suffering and death was to make the holy Spirit available to us, for it is only by the holy Spirit that we may have access to God (Eph. 2:18). "The foolishness of God is wiser than men"wrote Paul, and God�s magnificent �foolishness� in choosing speaking in tongues at Spirit baptism is revealed, at least in part, by the fact that proud people are ashamed to be seen speaking in tongues, and self-willed people refuse to yield their hearts (and so, their tongues) to the Spirit. So, establishing the lowly standard of speaking in tongues at Spirit baptism has proved to be, at least in part, God�s immaculately wise way of keeping the most ungodly of earth from even wanting to be in His kingdom. Because of what Jesus described as �the deceitfulness of riches�, wealthy people often are too proud to repent and receive the holy Spirit. Jesus said it would be easier for a camel to go through the eye of a needle than for a rich man to enter the kingdom of God (Mt. 19:24). James explicitly stated that God chose the poor of earth instead of the rich to receive His favor. 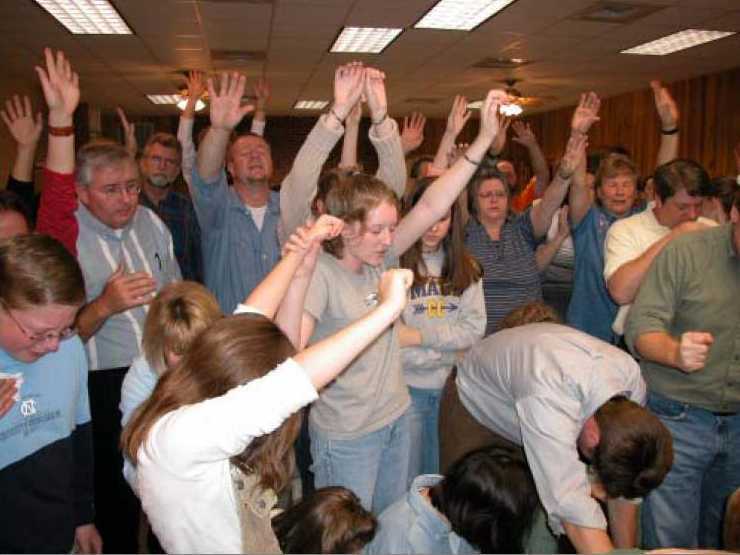 Accordingly, it has always been the case in each generation since Acts 2 that very few from the upper classes of society have humbled themselves to receive the baptism of the holy Ghost, and every time that men from the upper classes gain control of a revival movement, it withers. The kingdom of God is for the poor in spirit, and undeniably, the poor in spirit are, in great measure, also the poor in this world�s goods. 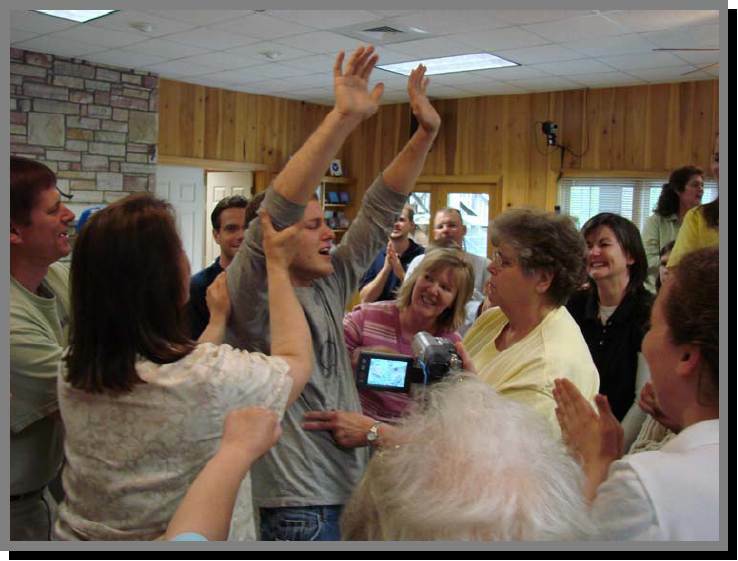 This booklet presents the most accurate and consistent biblical explanation I can find for speaking in tongues being the �initial evidence� of being baptized with the Spirit, as Pentecostals have traditionally taught. This doctrine, taken to its logical conclusion, alters radically the commonly accepted picture of the body of Christ. For since the baptism of the Spirit is the means of entering the body of Christ (1Cor. 12:13), we conclude that the body of Christ is composed exclusively of those who have received the baptism of the Spirit, with the evidence of speaking in tongues, as the Spirit gives the utterance. Having been taught that the baptism of the Spirit is only for a few saints, Pentecostal people are tempted to think that those who are baptized with the Spirit are the spiritually elite, or at least the spiritually mature of the body of Christ. But if their own doctrine is true, if speaking in tongues is the �initial evidence� of the baptism of the Spirit, then Spirit-baptized people alone are the body, for the Spirit�s baptism (as we have shown) is how one becomes a member of the body. On the other hand, non-Spirit-baptized people should be cautioned that we are not to �take it by faith� that we have received the Spirit. Rather, we "receive the promise of the Spirit through faith."